Dark. Cold. Snowing. Knee deep, even waist deep of snow in some areas. Temperatures dropping below -30C (-23F). Everything is frozen. Couple hours of daylight in a day. Welcome to Finland in the Winter! I’m writing this in mid-January, which means winter is in full swing but the darkest hours of the year have passed and we are going towards light again. The winter season here sets certain limitations for Airsofting. Well, some people call them limitations, but for us, the sport just changes a bit and we need to adapt. Importance of right equipment and gear is emphasized. 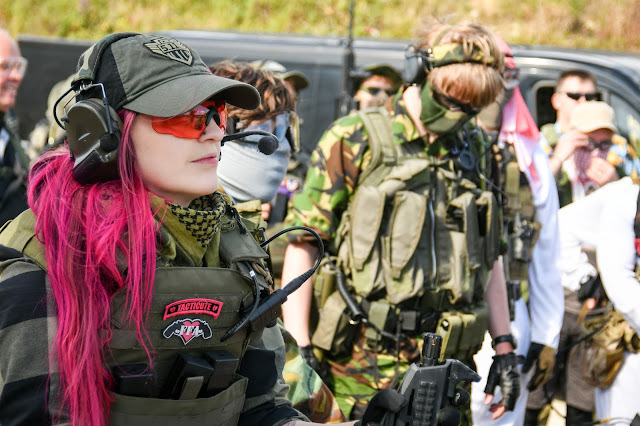 Most of the people are keeping roughly -15C (5F) as a limit for gaming, but there are us wackos who are going onto the field almost no matter what. First thing that you notice is the lack of sunlight, which is pretty clear, you just don’t see. Our weekly Sunday games are commonly between 11:30 – 16:30, in the wintertime it’s pitch black at 15:30, so game days are bit shorter. If we go to the northern parts of Finland, the sun does not rise at all, so it’s constant darkness. and food is frozen, goddamnit! Also, if there’s lot of snow, it’s really difficult to move, you simply just can’t move in waist deep snow. white stuff! It’s calm, white and beautiful, and satisfaction of surviving the challenge nature throws at you is something I like. War stories - war stories! ice broke and I fell into the water, it was not deep but still water & mud – cold as hell. I was laying there for fifteen long seconds until captured the point for the team. Half of my whole leg, my left side and half of my arm was soaking wet (like laying on my side and dipped to water, as I was). After getting a point, got up and ran to cover from fire, felt my clothes cracking and freezing over immediately. Surprisingly, I could play the rest of the day quite well. Wet parts of the clothes was solid ice, but ice layer kept body heat inside and good technical underwear insulated my skin. No harm done. So this is really fast brief how we roll here at the wintertime. I envy you guys having the perfect warm weather, but at the other hand, I have pretty good war stories to share, right? talking about selling your body and soul to the, well, gear. Gearwhoring!